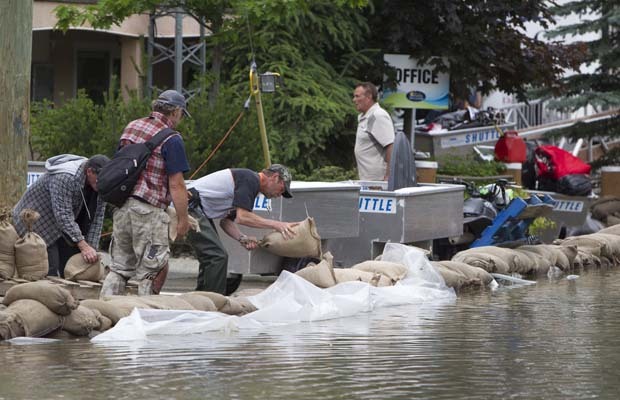 Flooding in British Columbia is a common and unfortunate reality for many Canadian residents. Property damage, loss of homes or personal belongings, injury and even death are among the situations faced when flooding occurs. 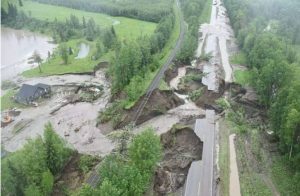 Currently the Central Okanagan is suffering from yet another unusual amount of flooding due to heavy rain fall. With the ground already saturated from snow melt, there is nothing to absorb the rainfall. “We’re getting our ducks in a row, mapping out what properties will be impacted and figuring out how best to instruct home owners to protect themselves, what kind of protection works best— whether that be sandbags or the Tiger dams —and how we can facilitate that.”- City Staff quote. Rapid snow melt, ice jams and heavy rainfall are factors that can play into flooding causes. This paired with unprepared communities can be devastating for homeowners and residents. Warm temperatures speed up the spring snow melt, resulting in runoff surges between April to July. Visit the Central Okanagan Regional District website for further updates (https://www.regionaldistrict.com/). If you live in this region, be sure to sign up for email alerts. Putting emergency systems in place are only one way to protect your home during flooding, it is critical that your family and neighbours have an evacuation plan in place, along with a grab and go style emergency bag with everything you need for a minimum 72 hours, including food and water rations, first aid supplies, clothing, sanitary items- such as soap, hand sanitizer and toilet paper, baby food and formula (if applicable), lighting sources, emergency blankets, whistle, multi-function knife. Keep a close eye on emergency management websites for your regional district. Preplanning evacuation routes- know the dangers with each route. Water boil advisories are often put in place during flooding due to water contamination with the rising water levels. Total damages and homes affected are not yet able to be reported on as the numbers are still being put together and damages are so extensive, the numbers have yet to be rendered.